Volunteering at Chestnut Hill Meals on Wheels can be a rewarding personal experience. Volunteer drivers do more than deliver nutritious meals…their visit confirms that our clients are safe and doing well that day. When our volunteers visit they bring comfort, security, friendship and cheer. They provide our clients’ loved ones with updates as to the health and well-being of their parent, sibling, grandparent, aunt or uncle even though miles prohibit frequent visits. This daily contact, then, means much to those who live alone and to their loved ones far away. The gift of your time can make a difference in someone’s life. It might be a life saver! The greatest need in all area programs is for regular and substitute drivers. Our driver volunteers do not receive any direct reimbursement for the use of their personal autos, but all miles driven in connection with their volunteer service are entirely tax-deductible on their personal tax returns. Volunteers are also needed to serve in other capacities – events, office work, mailings, food packing, etc. 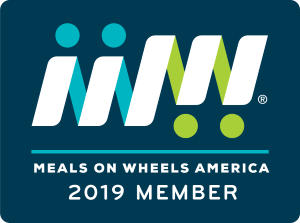 Whatever your particular interest or talent may be, Chestnut Hill Meals on Wheels would welcome your involvement. We are required to do a background check for all volunteer positions.